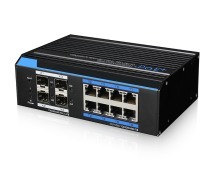 It is an industrial full-gigabit PoE switch, the switch provides 1*10/100/1000Base-T PoE in port(60W PoE input), 4*10/100/1000Base-T PoE out ports (30W PoE output, support IEEE802.3af/at) and 1*1000Base-X SFP port. It supports PoE watchdog (Detect POE device when it is frozen, reboot automatically). 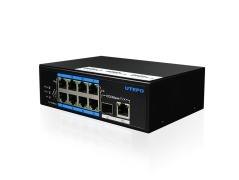 It supports -40 to +75°C working temperature, 6KV surge protection,8KV/15KV ESD protection. 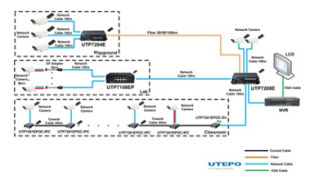 It could be widely used in security network video surveillance, network engineering, and other occasions.